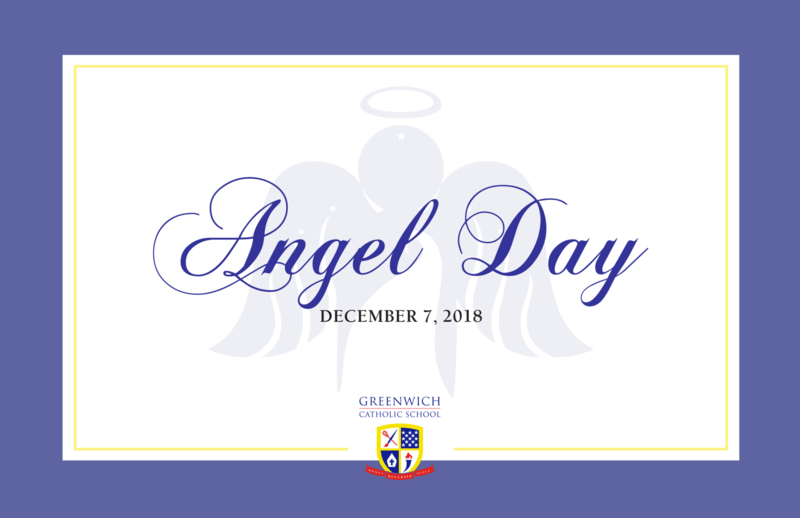 Angel Day is one of GCS' most beloved traditions. The event takes place during Advent and offers the special people in our students' lives a lovely morning that begins with a whole-school liturgy followed by brunch, student performances, and classroom visits. How do I purchase Angel Day tickets for my guests? Unfortunately, tickets sales are now closed. I purchased tickets for my child's Angel(s). Now what? After you purchase the tickets, we mail a formal invitation to your guests. However, it is recommended that you communicate with your child(ren)'s Angels prior to purchasing their tickets to ensure that they are able to attend! Are parents allowed to attend Angel Day? Unfortunately, due to the fire code in the gym, we are restricted on space and therefore cannot accommodate parents as guests. Parents may attend as volunteer servers and may visit their child's classroom following the mass and breakfast at 11:15. How do parents sign up to volunteer for the event? Please email the event co-chairs to sign up. What if my child does not have an Angel attending the event? If your child does not have a grandparent or special person attending Angel Day, you are welcome to visit him or her in the classroom starting at 11:15am. Do I have to pre-purchase tickets for my Angels or can they walk in? We need to know how many guests will be attending in order to plan accordingly. Walk-ins are not accepted. Please purchase a ticket for your Angels prior to the November 9th deadline. Where is the event held and what is the schedule?